One in five small businesses, or 22 percent, pay at least $10,000 on the administration of federal taxes each year, according to the National Small Business Association’s 2017 taxation survey. This does not include the money that a business owes the IRS in taxes. Five percent of small businesses pay more than $40,000 a year on the administration of federal taxes, seven percent pay between $20,001 and $40,000, and ten percent pay between $10,001 to $20,000. The majority of businesses, 67 percent, pay more than $1,000. Small businesses and their staff also spend significant amounts of time dealing with taxes, whether it be by filing reports, working with accountants, or calculating payroll. Twenty percent of businesses spend more than 120 hours annually. In addition, the majority of small businesses have someone else handle the company’s taxes. 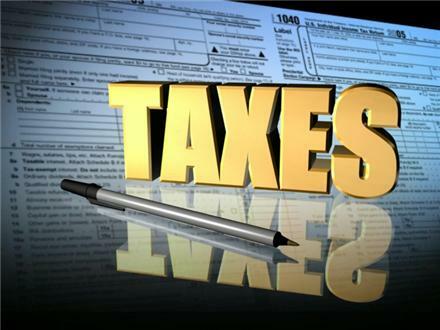 Only 16 percent of small businesses handle the taxes by themselves, 61 percent have an external tax practitioner or accountant handle the taxes, and 23 percent of businesses had a combination of both. More businesses are frustrated with the administrative burden that taxes put on them as opposed to the actual amount of taxes they are paying to the IRS. Fifty-eight percent of businesses said the administrative aspects of the tax code imposed the largest burden on them. Only 38 percent of small businesses said the financial cost was the largest burden. Thirty-two percent of small businesses say that federal taxes have a significant impact on the day-to-day operation of their business, while 11 percent said it had no impact. Small businesses were asked which type of tax reform proposals they supported the most. The majority, 65 percent, said that they supported reducing corporate taxes, individual taxes, and business and individual deductions. Nearly half of small businesses, 45 percent, said that they thought high tax rates hurt global competitiveness the most.